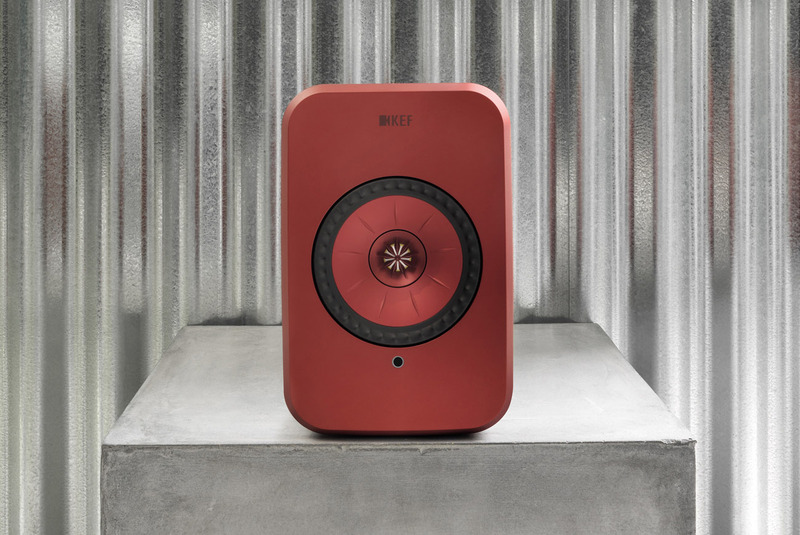 An all-new compact speaker system has joined KEF’s wireless line-up. The LSX fits in below the highly regarded LS50 Wireless in both size and price, and brings a fully wireless music playback solution to a wider audience. Like its illustrious sibling, the LSX is a stereo active loudspeaker system offering wireless connectivity. Compared to the LS50 Wireless, it takes the wireless concept another step further by offering allowing the two active monitors to be linked wirelessly. 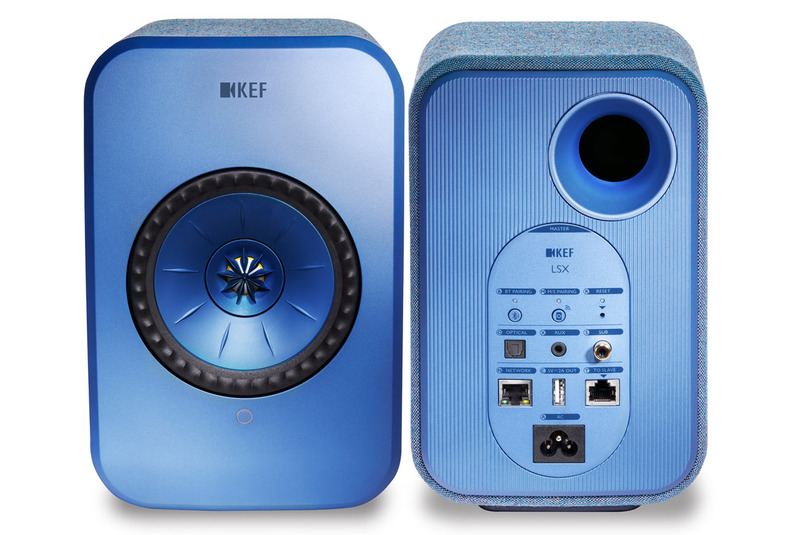 This makes the KEF LSX a completely wireless system, except for the power cable, of course. The system is DLNA and UPnP compliant, allowing access to and streaming content from NAS devices. It can also source content from the Tidal and Spotify streaming services. 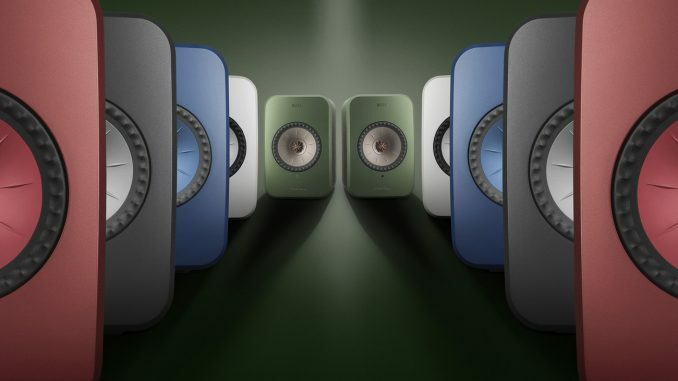 Continuing the wireless theme, the KEF LSX will also accept content via Apple AirPlay and Bluetooth, the latter featuring the high-quality apt-X codec. The LSX is compatible with the class-leading Roon music management system, too. For those still relying on wired connections, the LSX can accept digital audio signals via a Toslink optical input, together with a 3,5 mm stereo analogue input. A subwoofer output is also provided. While wireless operation is a key attraction of the LSX, it also accommodates Ethernet wired network connections for those who prefer the stability and reliability of cabled connectivity. 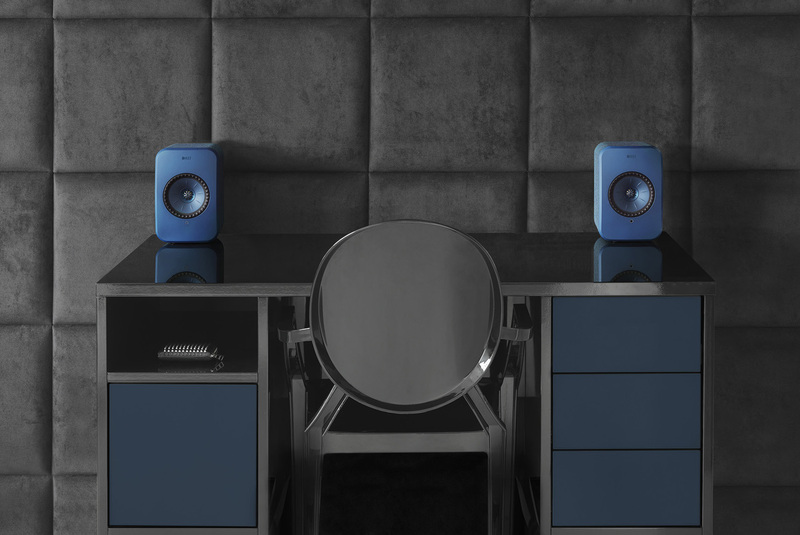 Offered in choice of five colours, the LSX features an innovative fabric covering on all except the gloss white model, and features the latest iteration of KEF’s Uni-Q coaxial driver array, which aligns the tweeter and midrange on the same axis for enhanced imaging. The composite enclosure is both lightweight and rigid, and contains separate Class D amplifiers for the Uni-Q array’s 102 mm mid/bass driver and 19 mm tweeter, rated at 70 watts and 30 watts respectively. The LSX employs KEF’s proprietary digital signal processing algorithm set for precise time alignment and phase coherence. Controlling the system, and streaming content to it, is via two dedicated KEF apps, available for both iOS and Android devices. The more compact dimensions of the LSX speakers make them ideal for smaller spaces or even desktop applications. They can be wall, desk or shelf-mounted, ensuring versatile and convenient placement.